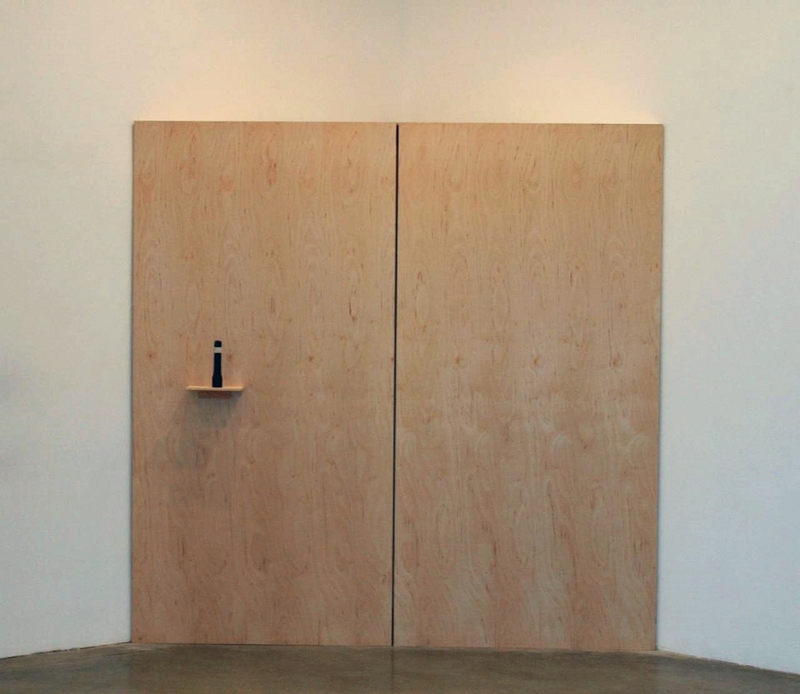 – A flashlight is on a pedestal being guarded by a security guard or the artist. 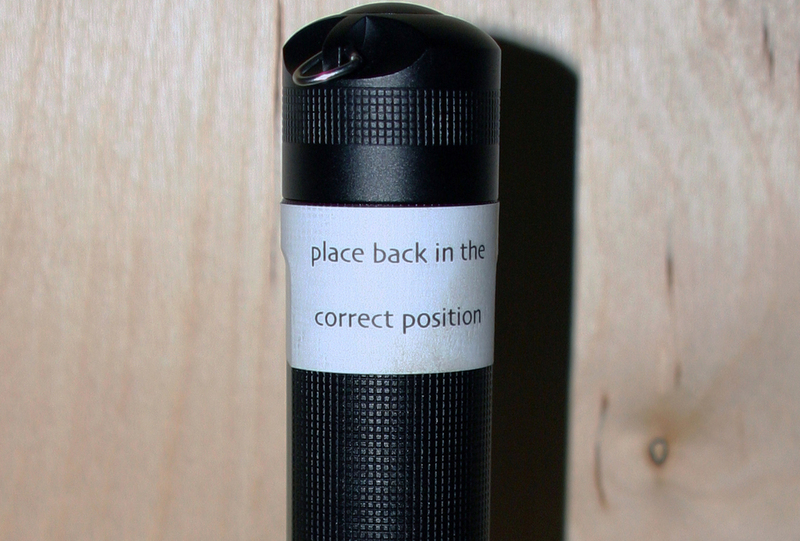 – "Place back in the correct position" is written on the flashlight. 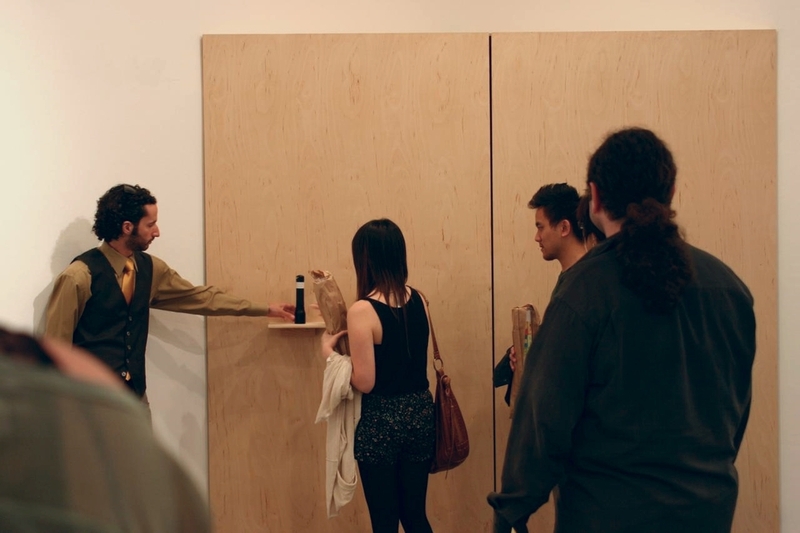 – After each person is finished using the flashlight and places it back on the pedestal the security guard or the artist will move it to it's correct position on the pedestal.